Counter-Strike: Global Offensive commentator and former player Janko "YNk" Paunovic is now the head coach of team MIBR. 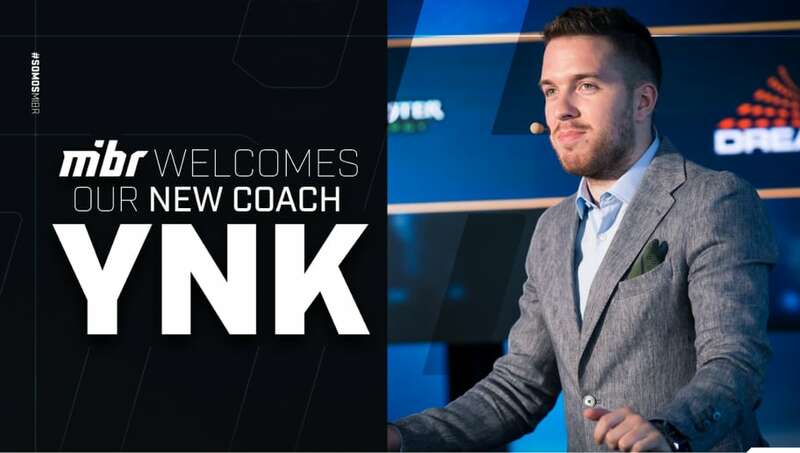 Uma das mudanças mais esperadas chegou, hoje damos as boas vindas ao nosso novo coach, @YNk ! MIBR announced the CS:GO commentator will join MIBR as a head coach effective immediately. Starting Aug. 13, YNk will join the team as the roster practices in Madrid to prepare for upcoming games. Let’s make us great again. Always admired Yanko and will be a pleasure to play under his thoughts. I’m sure he will deliver and help us in many aspects. "I am very excited to work with Janko. The first time I watched his analysis in a tournament it impressed me because he was pointing out specific things that most of the times goes out of spectrum for average players. I even tweeted at the time: this guy knows what real CS is," MIBR AWPer Gabriel "FalleN" Toledo said in a news release. "He always had my admiration in that regard and from the couple conversations we had together about coaching the team, I felt he is the right guy who can help us achieve what we want -- to become the best team in the world once again." MIBR went through another roster change in preparations for FACEIT Major London, which will feature a new format.